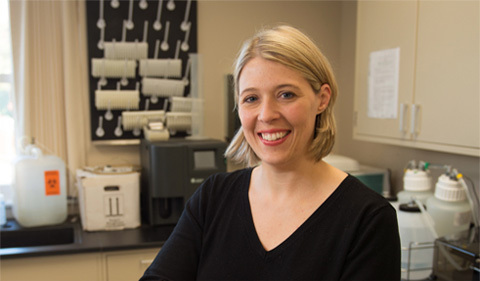 Dr. Peggy Zoccola, Associate Professor of Psychology, received $10,129 from the Ohio University Baker Fund. The John C. Baker Fund awarded a total of $49,253 to faculty proposals for research, scholarship and creative work during fall semester 2018. Endowed in 1961 by a gift of more than $612,000 from 1926 College of Arts and Sciences graduate Edwin L. Kennedy and his wife, Ruth, a 1930 graduate of the College of Education, the John C. Baker Fund was established to support faculty improvement and research efforts. Up to $12,000 is available for each award. The Baker Fund is accepting proposals for its spring cycle through Feb. 14. For more information about guidelines, forms and requirements for the program, as well as sample funded proposals, visit www.ohio.edu/research/Funding.cfm. For questions, please contact Carma West, grant development coordinator in the Research Division, at westc@ohio.edu or 740-593-0929.